There are certain apps that make me feel as though I’m living in some sort of futuristic, Star Trek-like time period. 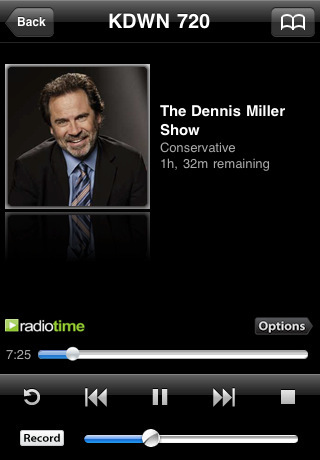 From apps that allow me to control my TV and DVR from my phone, to interactive magazines, and now, to TuneIn Radio. 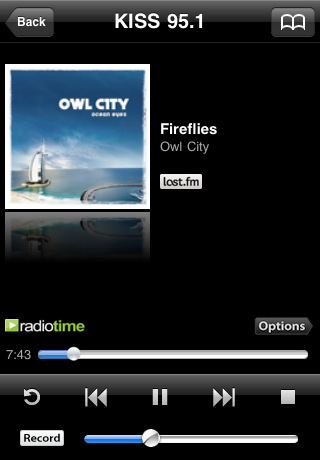 This app not only allows you to choose from thousands of streaming radio stations all over the world, but allows you to record them as well. 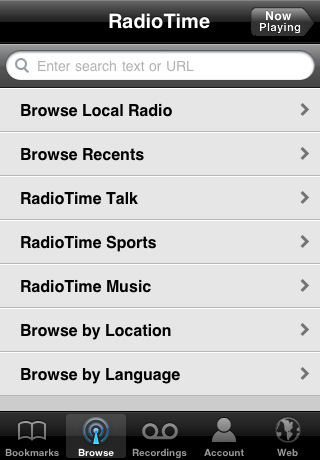 True, there are apps similar to TuneIn, but none do it as well. Whether you’re a diehard music fan or just a traveler wanting to hear the familiar sounds of home, TuneIn Radio is the perfect app for you. 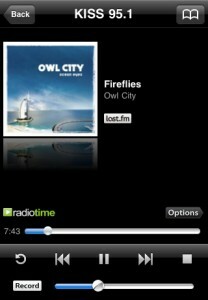 Perhaps TuneIn’s most successful achievement is its brilliantly simple interface. Browsing its 40,000+ radio stations could be a daunting and tedious task, but they’re all broken down into easily searchable categories. Search different categories like Talk, Sports, or Music, each of which are broken down into their own subcategories. You can also search by Location or Language. 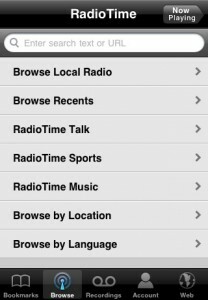 And, if you don’t feel like switching on your stereo, you can search local radio stations as well. Additionally, if you’d rather not sift through the menus, there’s a handy search feature. 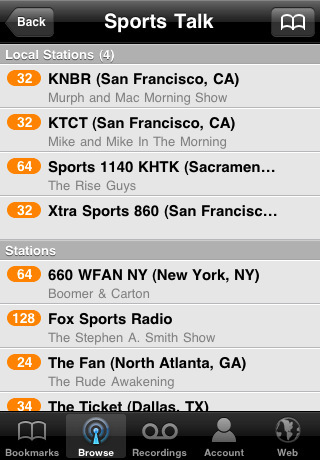 Just type in the station’s name or call letters, and it’ll pop up right away. Find a station you like? Simply bookmark it and it’ll be saved in your Bookmarks folder at the bottom of the screen. 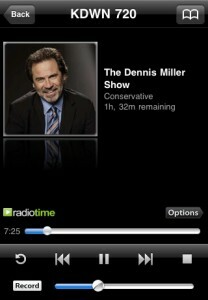 Perhaps my favorite feature of TuneIn Radio is the ability to record anything at any time. For example, I have a friend who is teaches jazz at a local college. In one of his classes, he’s talking about the scope of jazz around the world, not just limited to the American players like Miles Davis or Charlie Parker. With TuneIn, he’s able to check out jazz stations from Nigeria or Ecuador, record what he hears, and present it to his students. It’s an amazing tool. Bottom Line: For music lovers, or those who are just curious about other cultures, TuneIn Radio is an amazing – and amazingly simple – application. Highly recommended. 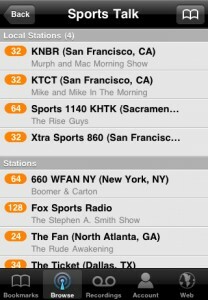 TuneIn Radio is compatible with iPhone, iPod touch, and iPad. Requires iOS 3.0 or later.